My name is Pamela White. I am 35 years old and married to a wonderful man. This is my review of the 30 Day Clean Eating Challenge. My husband and I have a 9 month old, and he has become one very active little guy! When I’m not working as a school principal, I enjoy spending time with my family and friends, crafting, working out, and traveling! Since becoming a mom and wife, life has become quite an adventure. I find very little time to do the things I enjoy because I am also working on my dissertation to receive my doctorate. As a result, I’ve found myself exhausted and resorting to fast-food like pizza, hoagies, and fried chicken. I love working out, but due to my eating habits, my weight has always fluctuated. My husband and I have gone back and forth from either focusing on losing weight with Clean Eating, to eating whatever we want. This pattern always leaves me feeling sluggish and bloated. 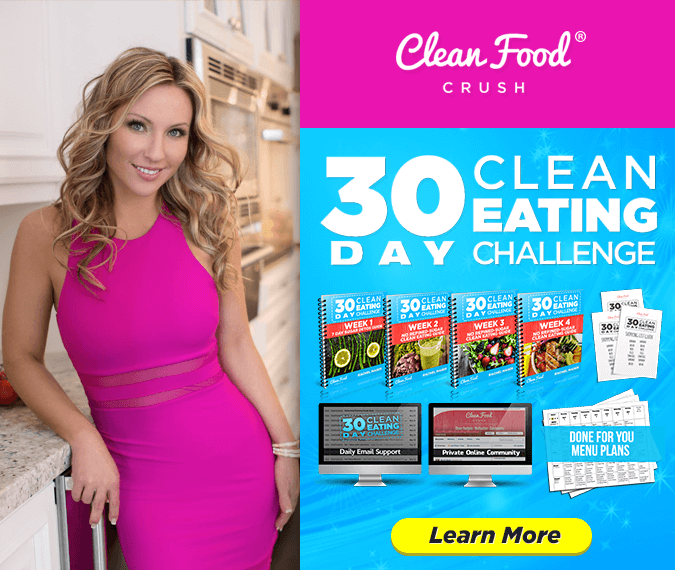 How has CleanFoodCrush and the 30 Day Clean Eating Challenge helped you to transform? I realized I needed to get my lifestyle back on track, so I decided to take on the 30 Day Clean Eating Challenge. Prior to doing the challenge, I used Rachel’s recipes and was never disappointed! 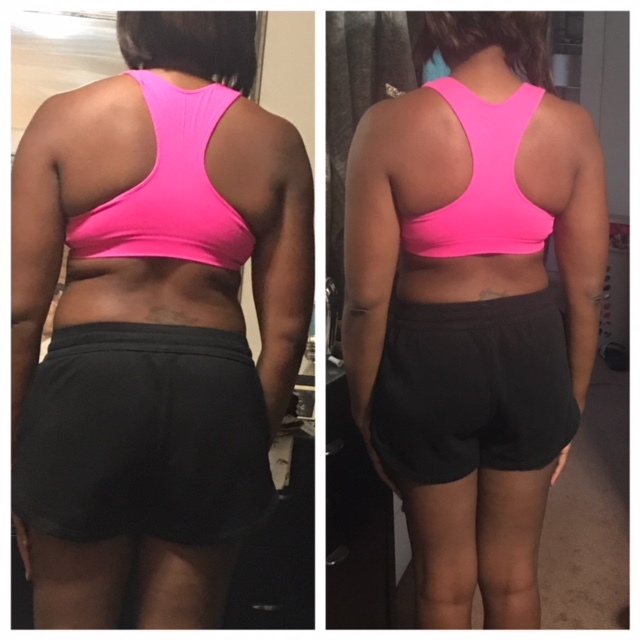 The challenge truly helped me learn to listen to my body. It’s easy for me to know what will make me feel good, and what will make me feel worse. When I tried to have a cheat meal, I instantly got a headache. This let me know my body was rejecting it. The 30 Day Clean Eating Challenge also helped me get back on track with food prepping. It really saved me time in the morning. In addition, I have developed a love for raw vegetables. I never knew how filling they were! Lastly, it made me begin to analyze the ingredients in my food. Now, I know what I’m putting into my body. Doing the challenge not only pushed me mentally, but physically made a difference. 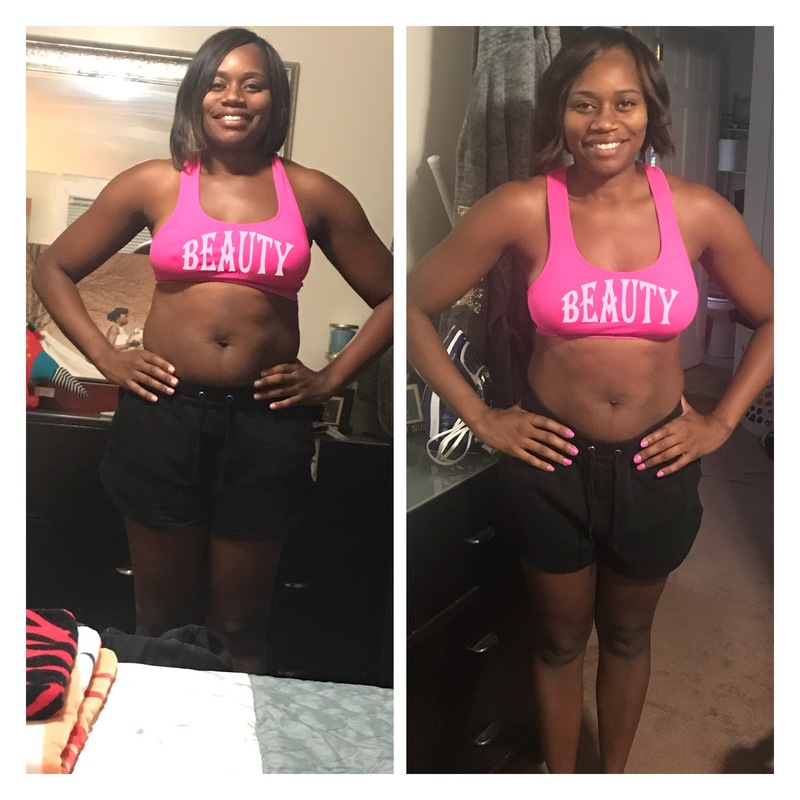 I lost 10 pounds and all around lost inches in every single part of my body. My shoulders became more lean. The medium shirts I typically wear are no longer tight. My pants and skirts fit perfectly and all around I feel fabulous! I am no longer bloated, and I don’t feel heavy! 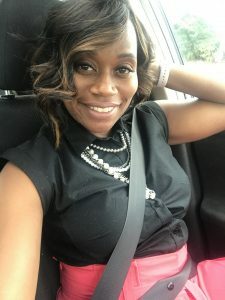 My husband comments on how I have transformed daily. What was the experience like for you and for your family? Since going on this journey, my husband and friends decided to join in and Eat Clean with me. 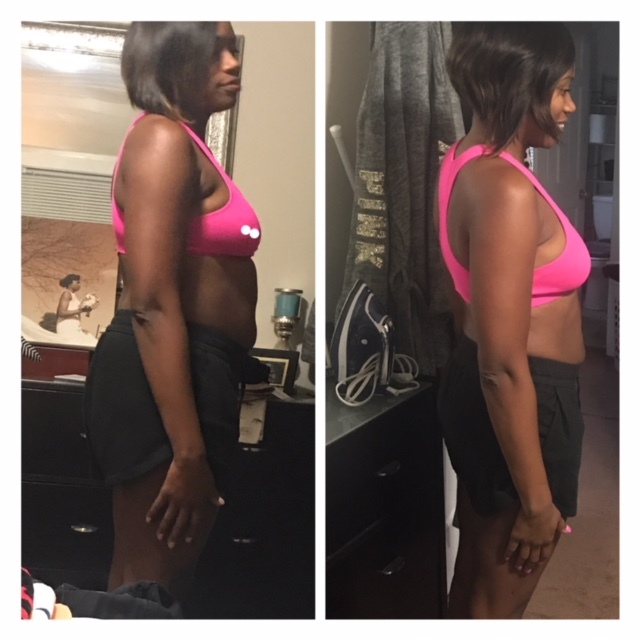 My husband lost 12 pounds in 1 week! My 9 month old enjoys the recipes too. He LOVED the burrito bowl. I don’t feel guilty for feeding it to him because they are clean ingredients! This experience has been amazing, and I plan to continue prepping and eating this way. I realized if I can’t make it to gym as much as I used to because of schedules, I need to take control of my eating. Food is the foundation of my success. What words of wisdom do you have for newcomers who are interested in taking the 30 day challenge? Healthy eating doesn’t have to be boring! Take the challenge, hang in there, and don’t give up! Change is around the corner!